Alla Illyinichna Levushkina, a surgeon at Ryazan City Hospital in Moscow, Russia who at 89 years of age, is not only still operating, but is performing about 4 surgeries every day. 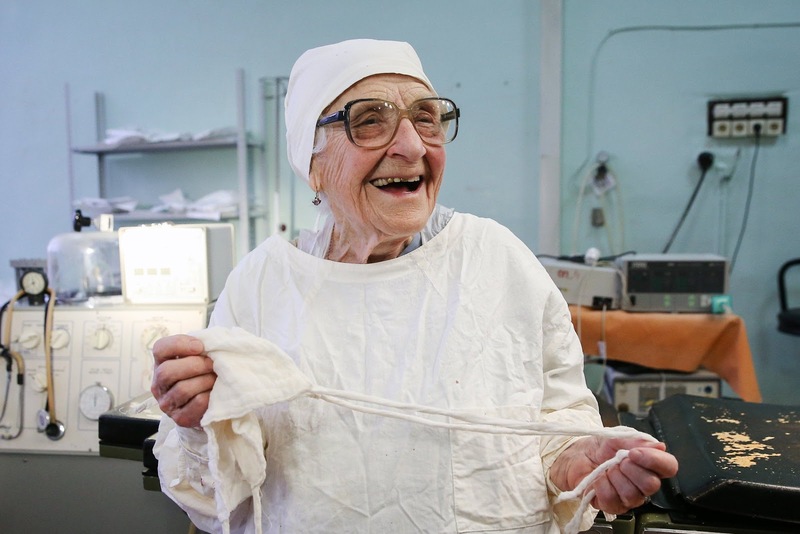 She's been performing surgeries since 1950, that's 67 years of experience. And having performed over 10,000 procedures hasn't slowed down this badass one tiny bit. Average Russians retire in their mid-fifties – but not Alla who became the oldest surgeon still working in the world. She added: ‘I didn’t find any secret to longevity. I just eat everything, laugh a lot and cry a lot.